There’s a new kid around called François Chartier and he may well turn the culinary and wine world upside down. Kato and I had the pleasure of having dinner with Francois last week and was really blown away by his work. Who would have thought dry Riesling would be a great partner with grilled lamb and rosemary? Or that roasted asparagus with smoked black tea and charred beef was delightful with Merlot? François has defined synergetic families of ingredients that help put the word ‘play’ back in cooking. Francois is the only Canadian to be honoured with the prestigious Grand Prix Sopexa International as the world’s best sommelier in French wines and spirits. 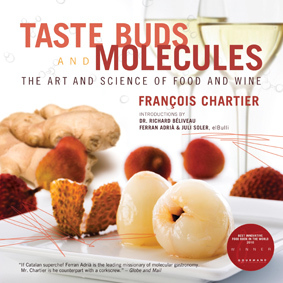 But more importantly, his book, ‘Papilles et Molécules’ won best innovative food book in the world at the world cookbook awards 2010, and it’s just been published in English by McClelland & Stewart under the title ‘Taste Buds and Molecules’. 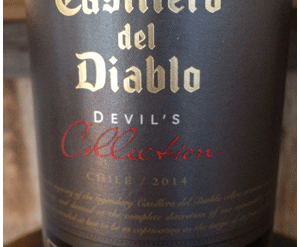 For over a decade Francois has worked out the molecular relationships between wine and food. He has worked extensively with Ferran Adrià and Juli Soler of Spain’s El Bulli (voted world’s best restaurant), as well as Stephane Modat, former executive chef at Restaurant L’Utopie in Quebec City. His body of work has, and will, reinvent food and wine relationships and it’s inspiring stuff. Seriously – sommeliers, cooks and chefs will go back to their drawing boards inspired to reconnect ingredients. He’s also at the Royal Winter Fair this weekend and is giving a free seminar on Saturday at 10am.